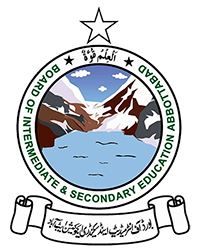 Abbottabad, Board of Intermediate and Secondary Education Abbottabad has started the exams process with the issue of BISE Abbottabad 12th class date sheet to the students on their home addresses. Abbottabad Board FA/FSc date sheet shows that the papers will be conducted from 20 April 2018 and the final papers will be done on 12 May 2018. BISE Abbottabad HSSC date sheet 2018 is provided online and the papers will be held in the first and second shifts while the papers will be conducted in the allotted exams centers. The 11th and 12th classes students will note the date and time of their relevant papers and the students will get the latest updates of their papers. The practical papers will be started from 15 May 2018 and it will continue till 03 June 2018. The candidates will ensure the appearance in their papers in the relevant exams centers.